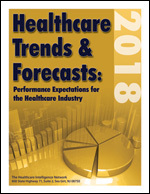 While Health Insurance Portability and Accountability Act audits by the Department of Health and Human Services (HHS) continue to ramp up, healthcare organizations have seen penalties and settlement agreements between healthcare organizations and HHS in the millions of dollars, according to a new infographic by eFax Corporate. 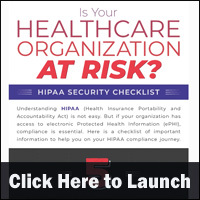 The infographic provides a checklist of important information to help healthcare organizations with HIPAA compliance. Introducing smartphones into a healthcare environment also brings new security risks, especially when devices are used to create, receive, maintain or transmit ePHI. Smartphones are becoming increasingly ubiquitous in clinical settings. When compared with the likes of pagers, smartphones offer many benefits, such as improved communication and collaboration, increased mobility, and more advanced security and privacy features. However, despite these benefits, introducing smartphones into a healthcare environment also brings new security risks, especially when devices are used to create, receive, maintain or transmit electronic protected health information (ePHI). The compact size and portability of smartphones is what makes them so convenient for on-the-go healthcare professionals, but it is also this which makes them particularly susceptible to loss or theft, which can lead to data breaches. According to a Ponemon study, 90 percent of healthcare organizations have been affected by at least one data breach, and nearly half have had more than five data breaches. While malicious activity continues to be the leading cause of these attacks, employee negligence and lost or stolen devices are the primary instigators. Eliminating the security and privacy threats introduced by smartphones isn’t easy, but by addressing the following key areas, HIPAA (Health Insurance Portability and Accountability Act of 1996) covered entities can mitigate the risks and significantly reduce the likelihood of a data breach occurring. In today’s cyber crime ridden world, organizations must be proactive in guarding every aspect of their digital infrastructure, and maintaining secure communications is a key part of this process. Non-secure applications such as email or native text messaging apps are inherently risky due to a lack of security features and privacy controls, which ultimately render them non-compliant under the rules of HIPAA. Instead of using unsecure tools, healthcare providers should invest in secure communication solutions that are designed to withstand the rigors and regulations of healthcare. Research by IBM suggests that 95 percent of all security incidents in 2016 involved human error—misaddressed emails, weak passwords and falling prey to phishing schemes are prime examples of how data breaches can occur due to carelessness or lack of proper education. Additionally, the rise in BYOD (Bring Your Own Device) means employees are more frequently using devices both inside and outside the office, which naturally increases the risks of a device being lost, stolen, or accessed by an unauthorized third party. Regular staff training should therefore be a top priority for any organization that allows its employees to use a mobile device for work purposes. Ultimately the onus is on employers to ensure employees understand their responsibilities, and to provide the tools to allow them to carry out their jobs effectively and securely. Implement policies and procedures regarding the use of mobile devices in the workplace—especially when used to create, receive, maintain, or transmit ePHI. Consider using Mobile Device Management (MDM) software to manage and secure mobile devices. Require authentication to use or unlock mobile devices. Securely delete all PHI stored on a mobile device before discarding or reusing the mobile device. Include training on how to securely use mobile devices in workforce training programs. Remember, at the end of the day, if you allow ePHI to be stored on mobile devices, some of those devices inevitably will be lost or stolen. And if that ePHI is not adequately protected through strong encryption along with robust access controls as described above, you will have a reportable data breach on your hands. So plan accordingly. As devices and applications become more technically advanced, and as more and more healthcare organizations leverage the advantages of smartphones over traditional tools, smartphone usage is only set to increase. To realize the benefits, however, it is critical that the security of mobile devices is reviewed and updated regularly, and policies are modified when necessary. Convenience should never come before compliance. 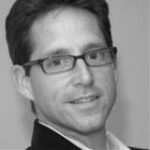 A 20 year industry veteran, Brad Spannbauer currently oversees product strategy and planning, and provides direction and market leadership for j2 Cloud Connect’s worldwide business as their Senior Director of Product Management. His focus in the healthcare and legal verticals led to Brad’s involvement with the j2 Cloud Services™ compliance team, where he leads the team as the company’s HIPAA Privacy and Compliance Officer. Learn more about our HIPAA Compliant Fax Solutions. The severity of HIPAA data breaches in 2017 might have decreased but not the number of breaches, according to a Kays Harbor Technologies analysis. 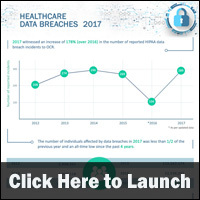 A new infographic by Kays Harbor Technologies looks at the number of reported HIPAA data breaches to the Department of Health and Human Services’ Office of Civil Rights, the number of individuals impacted by these breaches, the top breaches and predictions on the 2018 breach landscape. Artificial intelligence. Automation. Blockchain. Robotics. Once the domain of science fiction, these telehealth technologies have begun to transform the fabric of healthcare delivery systems. 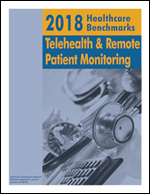 As further proof of telehealth’s explosive growth, the use of wearable health-tracking devices and remote patient monitoring has proliferated, and the Centers for Medicare and Medicaid Services (CMS) has added several new provider telehealth billing codes for calendar year 2018. Physical safeguards are set of rules and guidelines that outline how the physical storage and access to protected health information should be managed under HIPAA security rules, according to a new infographic by Vigyanix. The infographic details the Physical Safeguard requirements for facility access controls, workstation use and security and device and media control. Business Associate Manual is a template-style manual that can be easily adapted to align with your compliance needs as a business associate (BA). All content complies with the Omnibus Rule. Specifically developed to help BAs meet complex privacy & security compliance requirements. The Business Associate Manual includes: 6 privacy policies; 30 security policies; 6 policies that address common requirements of both the privacy and security rules; 1 breach notification policy; and 4 forms and templates. In 2015, the healthcare sector has had more security breaches than any other sector but one, according to a new infographic by Netsurion. The infographic examines security breaches by market sector, along with specific details on healthcare security breaches. 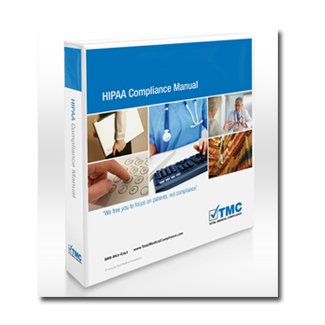 The customized HIPAA Compliance Manual contains the policy and procedure documentation required by the HIPAA privacy and security rules and HITECH. Operating forms are included in the manual for ease of customization for your office. The manual also includes state laws and regulations that interface with HIPAA and state identity theft laws. The HIPAA Compliance Manual also includes as a bonus: The Advisor, a monthly newsletter to help you stay current on new regulations and interpretations throughout the year. You will receive The Advisor each month by email as a part of your manual purchase. 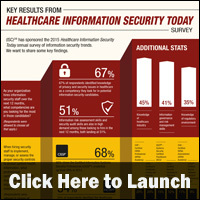 Improving regulatory compliance and security awareness and training are among the top concerns of healthcare information security professionals, according to a new infographic by ISC2. The infographic also drills down on the competencies and certifications that healthcare organizations look for when hiring information security professionals. Covered Entity Manual is a template-style download manual that can be easily adapted to align with your compliance needs as a covered entity. All content complies with the Omnibus Rule. Covered Entity-Specific Manual provides you with a generic, comprehensive set of policies and procedures: 33 privacy policies; 30 security policies; 6 policies that address common requirements of both the privacy and security rules; 1 breach notification policy; and 12 forms and templates, including a notice of privacy practices. Safeguarding healthcare information is everyone’s a shared responsibility across a healthcare organization. With well-publicized and recent cyber attacks affecting all industries, healthcare organizations need to take proactive steps to safeguard information, according to a new infographic by HIMSS and the National Cyber Security Alliance (NCSA). The NCSA-HIMSS infographic can serve as a guide for healthcare organizations to help keep patient information safe and secure. HIPAA Training for Employees DVD provides training on the following HIPAA privacy and security compliance, including: privacy rule basics; use and disclosures; patient rights; employee behaviors to safeguard patient information; security rules; safeguards to protect patient information electronically; HITECH; breach identification and notification; enforcement and level of fines. An initial Office of Civil Right (OCR) HIPAA security compliance audit found that the top missing item needed for HIPAA security compliance was a risk analysis. A new infographic by Coalfire outlines the top seven myths about HIPAA security risk analyses and what covered entities need to know about a risk analysis. The Covered Entity Manual is a template-style download manual that can be easily adapted to align with your compliance needs as a covered entity. All content complies with the Omnibus Rule. The Covered entity-specific manual provides you with a generic, yet comprehensive set of policies and procedures: 33 privacy policies; 30 security policies; 6 policies that address common requirements of both the privacy and security rules; 1 breach notification policy; and 12 forms and templates, including a notice of privacy practices.